If you fell in love with Susan Rooney's Breezy Blooms collection when we shared it here on the blog, you're in luck! 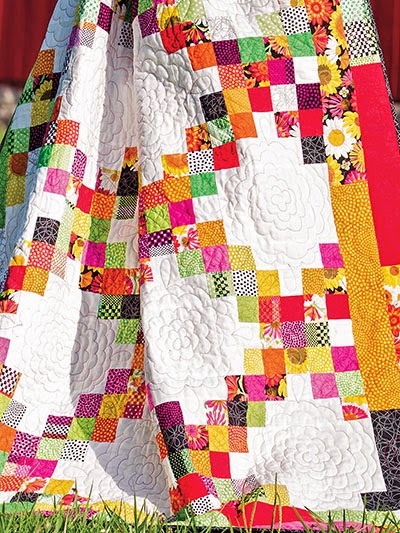 Today we're showing two different quilts featured in magazines that use these bright, cheery fabrics. The quilts are pretty different from each other, which really shows how versatile this line is. 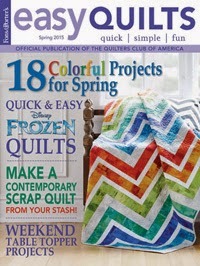 Keep reading and ask for Breezy Blooms at your local quilt shop--it's perfect for an early spring project! 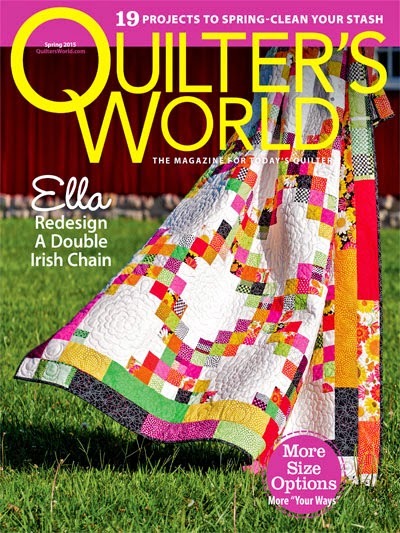 First up, Tricia Maloney designed "Ella" for Quilter's World magazine. She paired the bright Breezy Blooms prints with white for a bold pop of color that graces the magazine's cover. What appealed to you about the Breezy Blooms fabric collection? The Breezy Blooms collection is fun and relaxed -- exactly how I wanted this quilt to look. 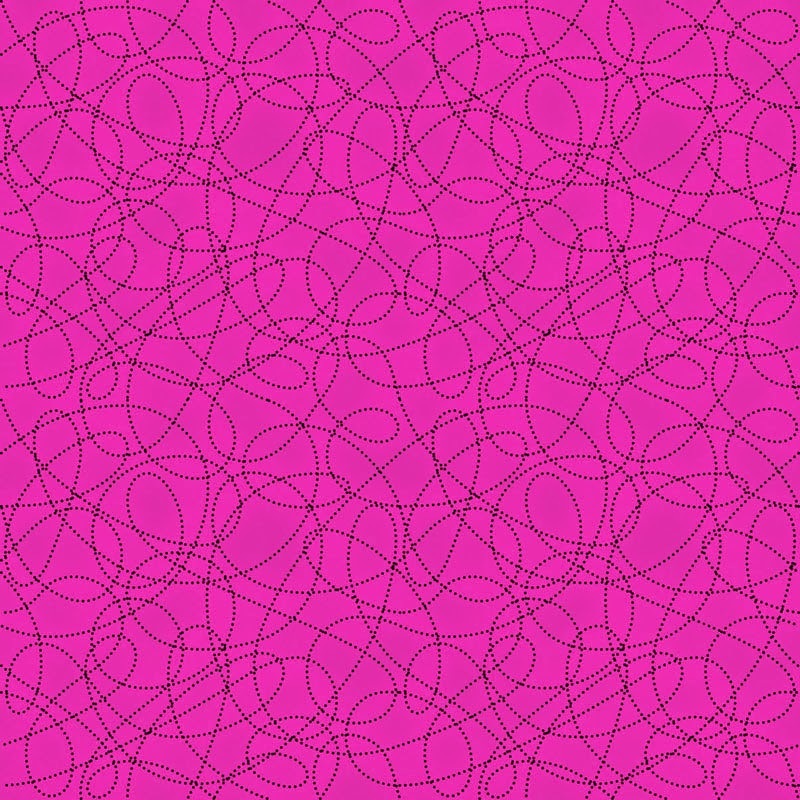 I really loved the scribble fabrics in the bold saturated colors. Why did you choose the Irish Chain design? Tell us about the white space I this quilt. The white background fabric is the perfect choice for Breezy Blooms with its saturated yummy colors. The white solid provides a lot of contrast, but keeps the Breezy Bloom Prints as the "stars of the show." The white solid also helps to calm down the quilt a bit because of all the different prints. 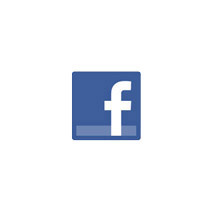 Can you talk about your pieced border choice? When designing the quilt, I tried several different border treatments including no border at all. I found that a single fabric border overpowered the scrappy double Irish chain, so I decided to use long narrow rectangles which acted more like frames, but didn't overpower the patchwork. The final result, of course! Once all of the elements came together -- the design, the fabric, and the quilting -- the quilt really had sparkle and was definitely a breath of fresh air. I was thrilled to discover it had been selected for the cover. When faced with so much empty white space, sometimes it's hard for me to come up with a quilting plan. But with this quilt, I followed the Breezy Blooms lead and went for a big showy floral design in the negative spaces. To further emphasize the diagonal qualities of the chains, I quilted a simple serpentine. Click here to see the entire Breezy Blooms collection. Click here to learn more about Tricia and her work. Click here to find Quilter's World. Next up, Melanie Greseth and Joanie Holton designed "Breezy Blossoms" for the spring issue of Fons & Porter's Easy Quilts magazine. In their quilt, the textured plaid takes center stage, alternating with columns of tipsy squares--a more contemporary look. What did you like about the Breezy Blooms collection? 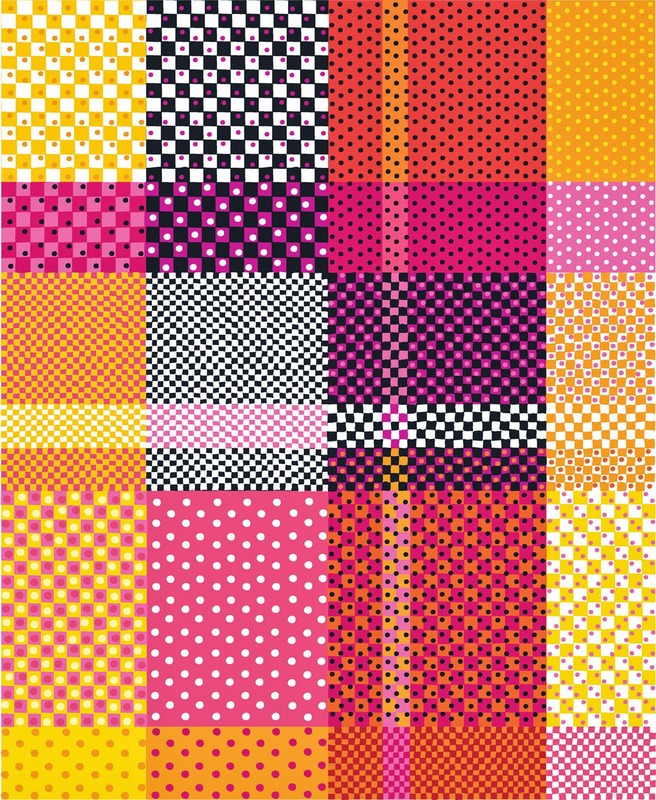 It was such a fun, playful line to work with—perfect because we wanted to create a fun, playful quilt that was fresh and not too difficult--something with a little modern twist to it. We loved the modern plaid. That was a big highlight for us. Susan just has such great colors. Can you talk about your design, specifically the pieced columns? We were looking for something fresh--a simple design with a twist. It’s really easy to stack and frame squares, but we wanted a little more playful look. We think the columns are modern and fresh, and tilting those squares gave a little more playful feel to the quilt. We love how you used a print in the background of the pieced columns. We decided to use the tonals as the pop in the blocks, and that middle-sized print in the background gave it a nice feel—it really added interest. What about the machine quilting? We had told her we wanted fresh, open quilting done so it didn't distract from the plaid and the vertical columns. She did a lovely job of blending the quilting with the plaid fabric on the outside and accentuating the pop of colors in the blocks. Click here to learn more about Tailormade by Design and their work. 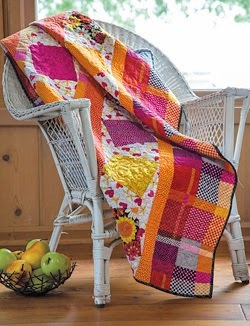 Click here to find the kit for this quilt. Click here to purchase the digital pattern for this quilt. I love how the block border looks like plaid! lovely!! !